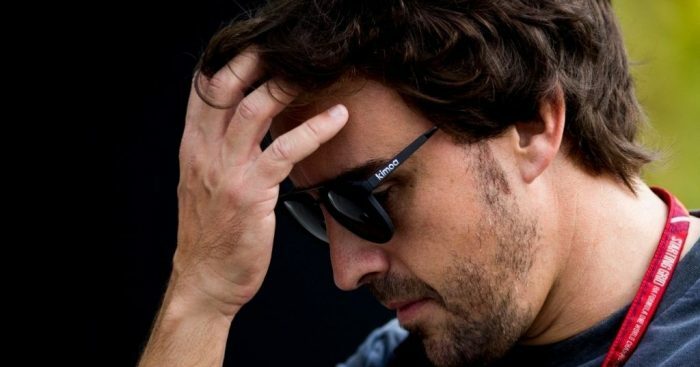 Both Toyota cars have been disqualified from the 6 Hours of Silverstone, stripping victory away from Fernando Alonso. Alonso, alongside team-mates Sebastien Buemi and Kazuki Nakajima, had notched up their third consecutive victory of the WEC season, but both the No.8 car and the sister No.7 car have been excluded and means privateer LMP1 squad Rebellion Racing are victorious instead. Toyota did not pass their post-race scrutineering tests as both cars failed their skid block deflection tests. The front part of the No.8 “deflected 6mm on the right-hand side and 8mm on the left-hand side under the specified 2500 N load at the front of the skid block”. Meanwhile, on the No.7 car, its “front part of the skid block deflected 9mm under the specified 2500 N load on both sides of the skid block”. Toyota argued that both cars sustained damage on their skid blocks but the stewards did not think that was a valid excuse. The stewards added: “Although there are no reports of the car being involved in any specific incident, the competitor stated that his only explanation for the non-conformity must have been as a result of the car running off-track and sustaining some sort of damage to the internal stays that fix that portion of the car. Alonso, Buemi and Nakajima all remain top of the standings on 65 points, but the Rebellion Racing trio of Gustavo Menezes, Mathias Beche and Thomas Laurent are now up to second on 63 points.